It was a long day that started at Mao’s tomb south of Tiananmen Square. 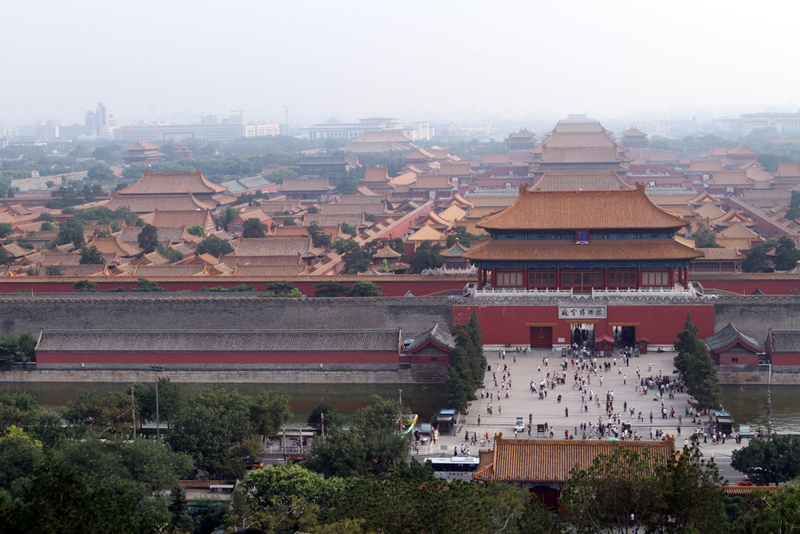 We worked our way north through The Forbidden City and still probably only really saw about half of it. We’d been wandering for about 6 hours and finally exited the city through this gate at the north only to have one of my traveling companions at the time egg us on up this hill in the park across the street. This is the view from the temple on top of the hill.